Today we’ll show you how to get the best from your prints choosing the right parameters from our instant quote online system. There are two main settings that will determine the appearance and strength of your models, read through to start saving money and improve the quality of your next project:). Are we talking about a showcase model or a fit and function prototype? In the first case we’ll be looking to get the best appearance possible for our parts and a resolution of 0.1 mm is what we’re looking for. On the other hand if we are printing a positioning jig function will come first and picking a 0.2 mm resolution would be the best option. We like to recommend a 0.15 mm layer height as standard for all your prototypes to get a good balance between appearance and function keeping the production costs down. In general curved or detailed models will show layer lines much easier than parts with straight edges. If your part presents curved surfaces and/or intricate details we recommend a layer height of at least 0.15 mm or 0.1 mm to get the best results. If you’re looking to paint or sand your models after printing we suggest going for the cheaper option and a resolution of 0.2 mm will do just fine. In a few words this is the density of your printed model, again a higher infill gives you a much stronger part but since we are using more material the final product will be more expensive. 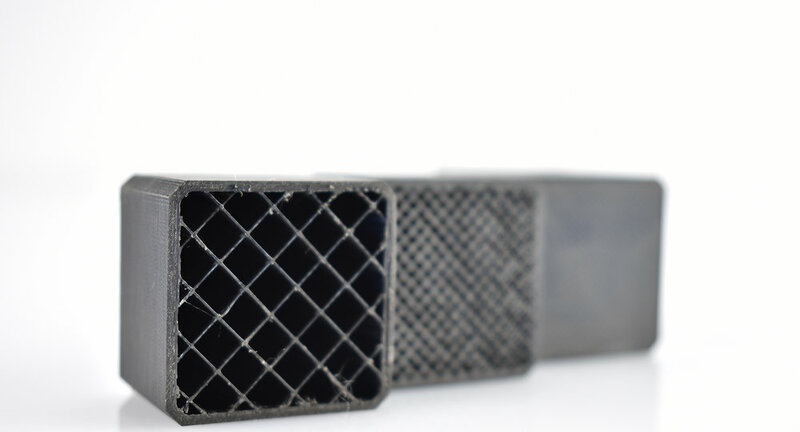 A standard 20% infill will work for the vast majority of your project but when it comes to end use prototypes and jigs or any part subjected to mechanical stress the best option will be a 50% infill density. We can go up to a solid 100% infill but we recommend this exclusively for very small parts as clips, electronic enclosures or figurines. Upload your model now and try different print settings for your part. 3D PRINTING ENCLOSURES: IT JUST MAKES SENSE!